Give the gift of Texture this Holiday Season! Texture has a great Black Friday/Cyber Monday deal on now! 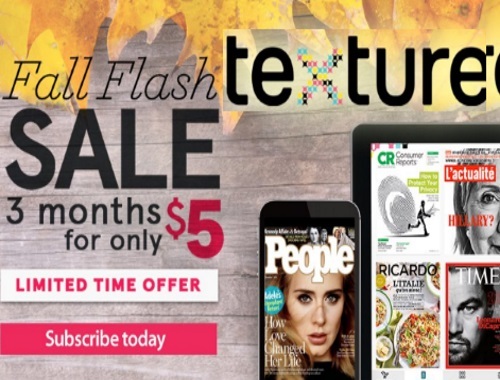 Get a 3 months subscription for only $5! That's a savings of 85% off. Get yoru favourites in hand, ahead of the newsstand. Offer is valid until November 30, 2016.